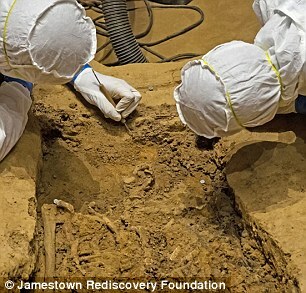 Archaeologists digging in a 400-year-old church in Jamestown, Virginia, have discovered a headless body that might be that of Sir George Yeardley, one of the first politicians — and slave owners — in the American states. Very Few people have heard of Yeardley, but he played a key role in America’s history. The Jamestown senator oversaw the House of Burgesses, the first elective governing body in the English colonies. Scientists still are not sure if the headless body is Yeardley’s, but shortly after revealing the skeleton, they made another finding that could help answer that question. They found a handful of teeth, 10 in all, that fit into a skull previously uncovered in the church. If DNA from the teeth and skull matches that from Yeardley’s living descendants, then scientists will be able to identify Yeardley’s body. By investigating the skull’s contours and tooth plaque, analysts may also be able to re-create his face and determine what kinds of food he ate, The Washington Post reported. 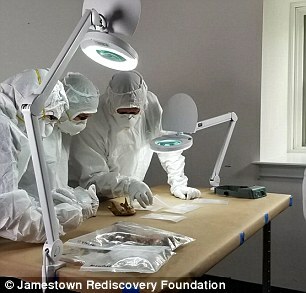 For example, Turi King, a geneticist, an archaeologist at the University of Leicester in England, who helped identify the remains of King Richard III after they were found under a parking lot in 2012, is working with the Jamestown team. “One of the biggest things we are worried about is contaminating the site with DNA from one of us. 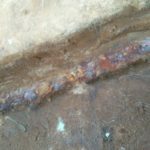 The church unearthing is part of a project run by the Jamestown Rediscovery Foundation, in collaboration with the Smithsonian Institution, to learn more about Jamestown, the first successful permanent English settlement in the American states. The community was established in 1607 and originally called “James Cittie,” according to Jamestown Rediscovery Foundation. Yeardley did not come to Jamestown until 1610 (he left London in June 1609, but a hurricane blew his ship off course to Bermuda). He became Jamestown governor in 1616, at the age of 29. 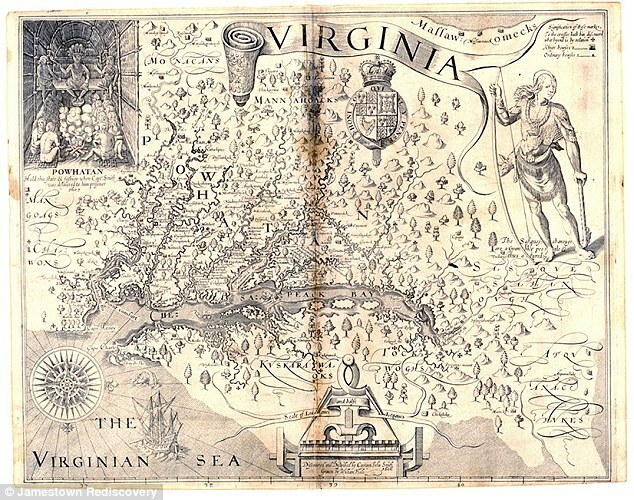 He was later knighted by King James I in Britain, and then he came back to Jamestown with instructions from the Virginia Company, which controlled the colony, to create “a laudable form of government . . . [for] the people there inhabiting,” according to historical documents, The Washington Post reported. The plan worked. 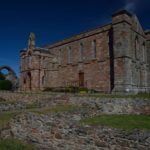 In June of 1619, a gathering of 30 men met at the church the archaeologists are now excavating. That same year, America received its first group of enslaved Africans. The slaves, taken from Angola in west central Africa, were on a Spanish ship bound for Vera Cruz, Mexico, until two English privateer ships assaulted and took up to 60 of the Africans to Point Comfort, in what is now Hampton, Virginia said David Givens, director of archaeology at Jamestown Rediscovery. Yeardley acquired eight of the people, Givens told Live Science. 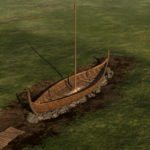 With the 400th anniversary of both of these events approaching, archaeologists would like to learn more about Yeardley, starting with the identification of his body, the researchers said. 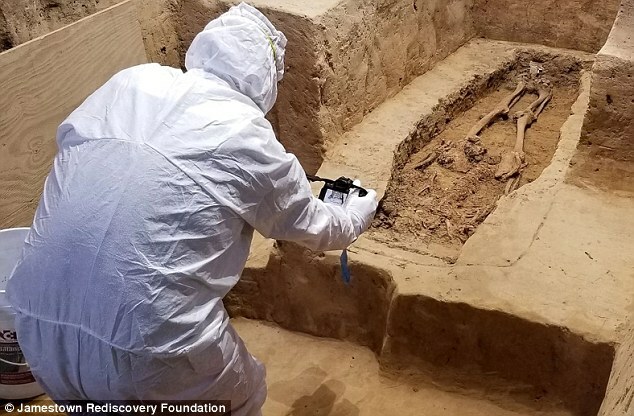 Despite the fact that the DNA work is yet to come, the skeleton does offer several clues: It originates from a robust man in his late 30s or early 40s, which would match Yeardley, who died at age 40, in 1627, the archaeologists revealed to The Washington Post. In addition, the skeleton’s hands are at its sides — not crossed over the pelvis — indicating that this burial was an important one, likely laid out so that people could see the body before its final burial, Hartley stated. And in the early 1900s, people found a tomb slab engraved with knightly symbols in the church. Given that Yeardley was a knight, it is possible this limestone slab belonged to him, Hartley said. 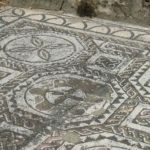 She also noted that the burial is located in front of the church’s altar, “a pretty prime spot to be buried,” Hartley said. The soil and artifacts at the burial match the right time period, Givens added. 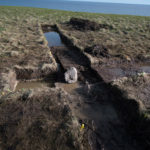 The team also plans to radiocarbon date the bones and do isotopic testing (an isotope is a variation of an element that has a varying number of neutrons in its nucleus) on the remains so that they can tell whether the individual drank water from England as a youth, he said.